Vernon Cameron Jones, an aspiring actor who moved to Manhattan after graduating from the University of North Carolina, mysteriously disappeared nearly two decades ago. To this day, detectives, private investigators and his family search desperately for lingering clues that might lead to Vernon’s recovery. Prior to his disappearance, Vernon celebrated New Year’s Eve with several of his friends at an East Village apartment. Sometime around 12:30 p.m. on Jan. 1, 1993, Vernon vanished, after supposedly drinking too much and making a mess of the apartment. While his friends hurried out to purchase paper towels from a nearby bodega, Vernon supposedly wandered off. He hasn’t been seen since. During the time of Vernon’s disappearance, detectives with the NYPD investigated the case, but discovered nothing that could allude to what may have happened to him. The search for Vernon continues, headed by his family and a private investigator, Robert Rahn, who decided to take on the case pro-bono. Since Robert’s involvement, he has managed to get Vernon into the national DNA database, CODIS, by submitting an old baby tooth Vernon’s mother saved. In addition to Vernon’s incorporation into the CODIS, Robert is looking into other possibilities. 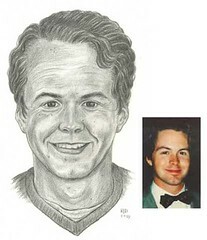 For example, it’s possible Vernon may have been murdered and never identified — at the time of his disappearance Vernon had no identification on him and would have been labeled a “John Doe,” had he been discovered dead. Joining the show is Bob Rahn and Kim Anklin of Management Resources, LTD of NY to present information on the cold missing persons case with the hope of making it hot again! Always looking for clues or tips, the team hopes that with added exposure there will be a break in the case. MANAGEMENT RESOURCES LTD. OF NEW YORK has over fifty years experience in conducting investigations. Personnel include former NYPD Detectives with expertise in all aspects of civil and criminal investigations. The professional network affiliated with Management Resources includes former investigators from Federal and State law enforcement agencies to provide us with the ability to conduct investigations worldwide providing a full range of investigative services. Next PostTRUE CRIME UNCENSORED: Punk Rock Turned Journalist Steve Miller!